Hello and Welcome, Fellow History Lovers. This Seams Interesting is a monthly column highlighting weird, overlooked, and ignored people and events throughout history. Mid-way through World War II on May 3, 1942, Prague’s Caslavska family introduced a baby girl. They named her Vera. From an early age, it was clear that Vera was a natural athlete. Initially, she started in dance, followed by figure skating. At 15 however, she switched to gymnastics. Like with the previous 2 sports, she dominated. Part of this was her and part was her instructor, Eva Bosakova (1952 – Helsinki, 1956 – Melbourne, and 1960 – Rome). 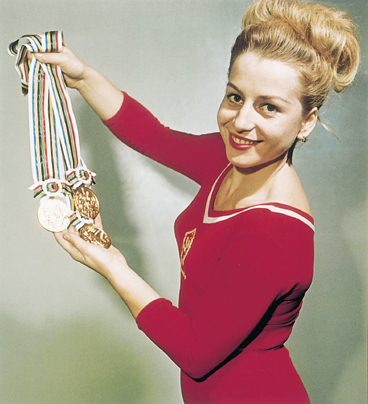 Bosakova was already a multiple medal holder in both the Olympics and World Championships. After a year or so of training Vera competed alongside Bosakova in 1959 at the European Championship. She won her first (of many) gold medals in the balance beams but slipped up on the uneven bars leaving her in 8th. The team won the silver medal. This success continued into the Olympics in Rome where she won the silver in the team category again. She continued to compete and exponentially became the top gymnast of her era. In the World and European Championships and the Olympics, she won numerous gold and silver medals. Things changed around the 1968 Olympics however. January 5, 1968, Antonin Novotny was officially replaced by Alexander Dubcek as 1st Secretary of the Communist Party of Czechoslovakia. Dubcek’s goal was to create, “Communism with a Human Face.” In turn, he introduced more Democratic leaning policies and expanding people’s freedoms like speech. The Soviets were not pleased so they invaded Czechoslovakia with 600,000 soldiers and help from other Warsaw Pact nations. Vera was in support of the new reforms and signed the protest manifesto, “Two Thousand Words,” by Ludvik Vaculik. All this happened a few months before the Mexico City Olympics that fall (seriously, the 1968 summer games were held in October that year). Vera was in trouble so her fled to the mountains. Similarly to Rocky in Rocky IV, she trained using the natural world, but out of necessity not because of manliness. After 3 weeks, she got word that the Czech allowed her to participate in the Mexico City games again. It was during these games that she became the first and only Olympian to ever win a medal in every gymnastics event. In addition to this, she refused to observe the rising of the Czech and Soviet flags when she tied for the gold in the Floor Exercise with Larisa Petrik. Many took notice, including the Soviets. Around this time, she married Josef Odlozil, a fellow Czech Olympian. Back home in Prague, things changed. The government was suspicious of Caslavska and barred her from federal jobs for her protests and politics. She divorced Josef in 1987. 3 years later the Communists lost power and she finally publicly regarded as a hero of the people. Also wasn’t barred from federal jobs. They had several children. One of them, Martin, stabbed his father in a dance club in 1993. Josef died. Martin was sent to prison. Vera focused on keeping her family together after this tragic event. She still resides in Prague today and lives a private life. Hungry’s Agnes Keleti came from humble beginnings, she was born to a Jewish family on January 9, 1921. Like other future Olympians she was attracted to sports early on. 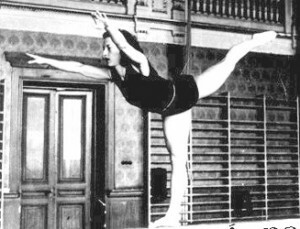 A natural gymnast, she excelled at the VAC Jewish Sports Club quickly. Her father, Ferencs, wanted both his daughters involved in sports. He was a lifelong athlete. Her mother complimented their father’s push for athletics with academics. Thanks to her, Agnes was a great student, cellist, and singer. At 16, she won her first national championship. By the end of her professional career, there were 9 more national championships. She was on her way to the Olympics but World War II broke out. Hunngry was left out of it for awhile until Germany invaded. Agnes managed to get papers under the guise of a Christian woman named Piroshka. She worked for a Nazi-sympathizing family as a maid for the rest of the war. Her father was taken to Auschwitz. Her mother and sister luckily escaped thanks to the Swedish diplomat, Raoul Wallenberg (he was responsible for saving thousands of Hungarian Jews). By the end of the war the only family left was her mother and sister. 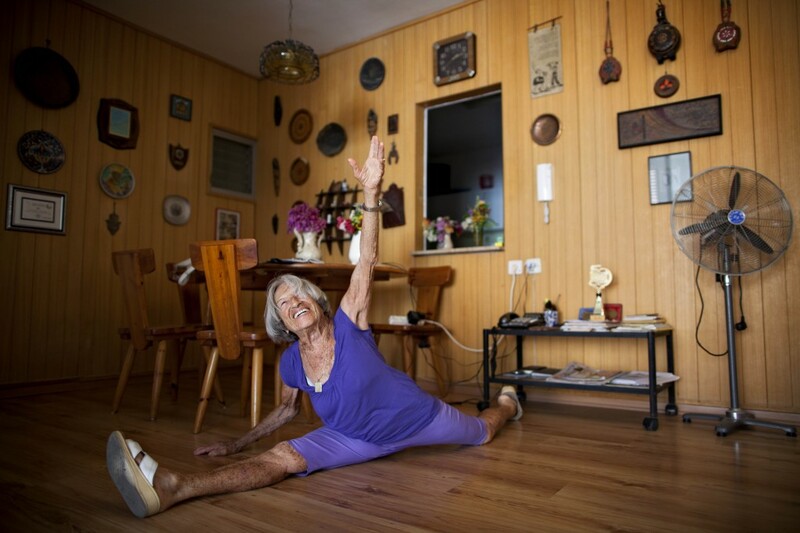 Agnes doing a split at 91. Reunited with her family, Agnes resumed where her career left off. She won more national titles over the next few years and nearly made it to the London Olympic. 2 days before they began, she injured herself but recovered in time to compete in European and World Championships. 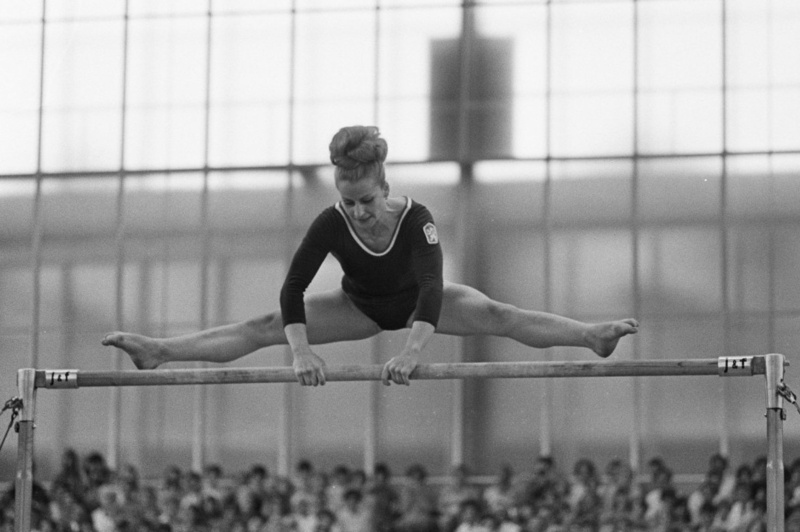 In the Helsinki games, she became the oldest female gymnast to win an Olympian medal at 31. She won 4 medals in total. That record was broken again at the Melbourne games with 6 more medals. At 35, she set the record (again) for oldest female gymnast to win an Olympic medal. The Soviet Union invaded Hungry during the Melbourne games. Instead of return home, she and the other Hungarians remained down under. She received political asylum to reside in Israel, where she still lives. In 1959, she married Robert Biro, a fellow Hungarian Jew that escaped the Soviets. They have 2 sons, Rafael and Daniel. In Israel, she become a corner stone in the establishment of Israeli Gymnastics. She ended up teaching at Tel Aviv University for years. 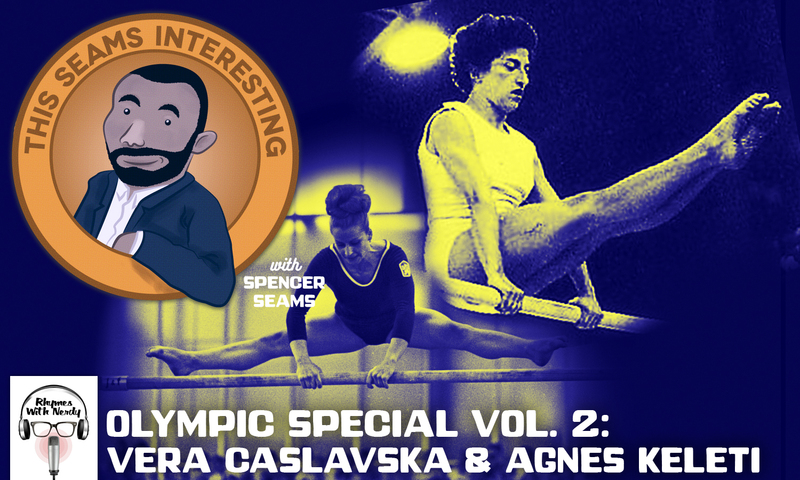 Agnes is the second most accomplished Jewish Olympic athlete with 10 medals, right behind Mark Spitz’ 11. Not only did these women set world records, they managed to thwart both Nazi Germany and the Soviet Union from destroying them mentally and physically. They are extraordinary women that need to be remembered and celebrated. Next ArticleCan We Just Be Friends? FATHER'S DAY FLASHBACK!